Balloon twisting is one of our specialties. Hire a balloon artist for your next birthday party or special event. Our balloon twisters use high quality balloons specially designed for twisting into fun shapes and exciting designs. Our balloonist can interact with you guest and create for them a balloon work of art, such as balloon hats, favorite animal, or just about any fun thing we can think of. Kids love our colorful balloon animals and fun designs. Balloon twisting can be a fun addition to your party entertainment. Our balloonist can create things such as princess, super heroes, cartoon characters, and much more. It is the balloonist priority to make sure that every child gets a balloon, so the complexity of the balloon twisting is based on how many kids you have at your party. If you are having a large amount of kids at your party but would like the more complex balloons, you can always hire the balloonist for more time. If you are having a grand opening or huge event our balloonist can make balloon animals and other shapes that takes them about 30 seconds to make. 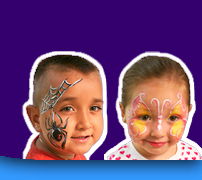 Children, Kids Birthday Parities, Entertaining Guest, Corporate Events, Grand Openings, Holloween, Holiday Parties, Company Picnics, School Functions, Product Promotion, Church Functions, Fundraisers, Opening Day, Festivals, Street Fair, Sporting Event, Festival, Block Parties, Open House . . . and much more.